Inspired by my fellow administrator 98Z5V at the 308ar.com I decided to take the plunge and put together an AR-15 chambered in .45acp. Truth be told originally I set out to build a 10mm AR-15 but I thought long and hard and decided it would be better to go with a caliber that is already common with other weapons that I own and not introduce another and more expensive caliber. Building a .45acp pistol caliber AR-15 it not quite as simple as building a center fire rifle AR-15. There is simply not a lot of options. To that end I decided to go with a pre built Olympic Arms AR-15 .45acp dedicated upper receiver. I chose the flat top model with the railed gas block and standard handguards. The handguards will be replaced. 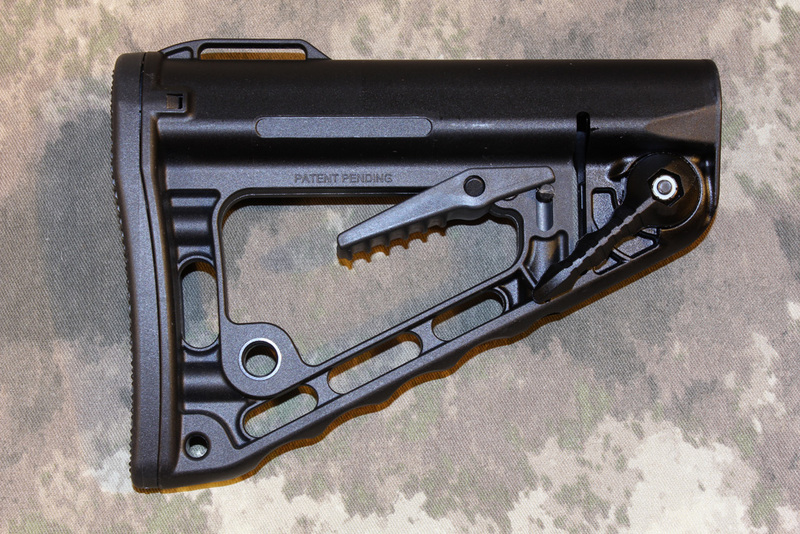 I am not a purist and have no strong preference for my STRIPPED AR15 LOWER RECEIVERS. The SPIKES TACTICAL STRIPPED LOWER RECEIVERS are often one of the best values around in LOWER RECEIVERS. 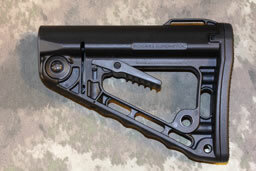 I opted to go with a milspec AR15 LOWER RECEIVER so the only proprietary part is the MAGAZINE. 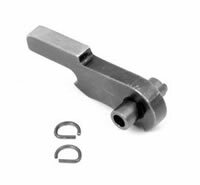 This means I can use this LOWER RECEIVER with any AR15 UPPER RECEIVER providing I use the correct BUFFER and BUFFER SPRING. Using a dedicated .45 lower would require me using modified surplus UZI SMG magazines. I never noticed much difference in AR15 LOWER PARTS KITS so I typically order the LOWER PARTS KIT when ordering other parts. Well with the political climate causing parts shortages once again I thought for kicks I would see if Armalite had LOWER PARTS KITS in stock. Much to my surprise they did have stock. I like to order LOWER PARTS KITS without a trigger. Why spend money on parts I wont use. While browsing the Armalite website for the LOWER PARTS KIT I was surprised to learn not only does Armalite offer the LOWER PARTS KIT without a trigger but they off the LOWER PARTS KITS with NATIONAL MATCH TRIGGERS among other options. Anyhow there is one visible difference in an Armalite LOWER PARTS KIT that I have not seen elsewhere. 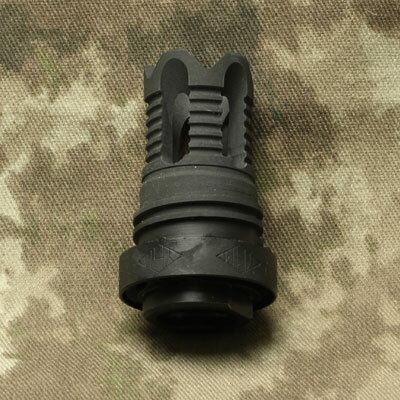 The Armalite BOLT CATCH is different in that the entire face is serrated. I like it. One day I will take a picture. While I have every intension of running with the DANIEL DEFENSE OMEGA RAIL in carbine length my budget does not allow for it at this time. For now I will run with the MAGPUL MOE CARBINE LENGTH HANDGUARD at about one eighth of the price. In my quest to own at least one of every high quality AR15 trigger available I selected the JP RIFLES JPFC-1 STANDARD FIRE CONTROL GROUP TRIGGER this time around. Judging by the included instructional DVD this trigger looks to be a little time consuming to install. Having been spoiled by modular drop in AR15 triggers lately I have been procrastinating this install. The JPSH-1A SPEED HAMMER is designed to enhance the function of the JPFC-1 listed above. Here is what JP says about the hammer. This low mass hammer gives a 50% reduction in lock time for improved accuracy and ignition reliability. Hammer fired ignition systems are notorious for slow lock time and the torque effect of the hammer accelerating through its arc is transmitted through the whole rifle. Try dry firing your rifle as you look at a 100 yard target and see how far the scope moves off point of aim. The JP Speed Hammer minimizes the effect for a significant improvement in accuracy potential. This hammer is so fast you can hear the difference when you dry fire. It's as close as you can come to the lock time and torque free function of a linear striker system in this type of mechanism. 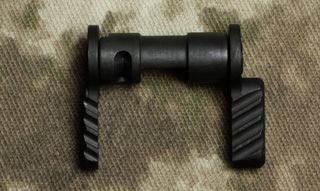 The blowback design of pistol caliber AR15 RIFLES is tough on TRIGGER PINS. The use of ANTI ROTATION PINS is highly recomended. For this project will we utilize the KNS ANTI ROTATION PINS. As I have mentioned elsewhere and across all of my websites every AR-15 or 308AR build will have some form of BATTLE ARMS DEVELOPMENT AMBIDEXTROUS SAFETY SELECTOR standard. Note: I should add and update that BAD has a new AR15 ambidextrous safety called the C.A.S.S or COMBAT AMBIDEXTROUS SAFETY SELECTOR. The levers mount with a dovetail. The Rogers Super Stoc is the new kid on the block. The manufacturer claims the Super Stoc ha the strongest locking mechanism of any collapsible stock. I chose it because it's different, it fits either milspec or commercial extension tubes and it was only $80. I chose this OLYMPIC ARMS magazine option because they work with a standard AR15 LOWER RECEIVER.